Spanish utility Iberdrola has approached the European Investment Bank (EIB) to co-finance the construction of the 1158 MW Tâmega river hydroelectric complex in northern Portugal. The EU’s financing arm disclosed on 19 April that it is considering a loan of around €650 million towards the approximate €1.485 billion cost of building three dams and hydropower plants on the river Tâmega. 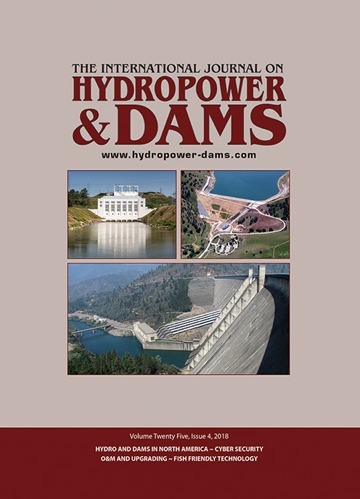 Initiated in 2007 as part of the Portuguese National Programme for Dams with High Hydroelectric Potential (PNBEPH), the project aims to support the increase of electricity generation from renewable sources in Portugal as well as contributing to the security of electricity supply by providing system flexibility and system services in the joint Portuguese-Spanish electricity market. Following a competitive tender held in 2008, Iberdrola signed a 70-year concession with the Government of Portugal in July 2014 for the design, construction and operation of the 160 MW Alto Tâmega dam and plant, the 118 MW Daivões storage facility and 880 MW Gouvães pumped-storage station. The three projects, which are expected to provide 3500 direct and 10 000 indirect jobs, and are designed to generate annual output of 1760 GWh, are scheduled to be commissioned by 2024. 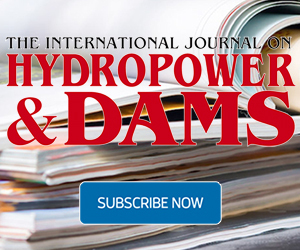 A consortium of Spain’s Acciona and Portuguese companies Mota Engil and Edivisa were contracted in April 2017 to build the Alto Tâmega dam and hydropower plant (see H&D Issue 3, 2017). The civil works contract, worth around €110 million, entails the construction of a 106.5 m-high double-curvature concrete arch dam, the powerhouse, as well as the plant’s water circuit, access tunnel, and river diversion works. A consortium led by Spain’s Ferrovial Agroman with local civil engineering group MSF Engenharia are carrying out the civil works contracts for the Gouvães and Daivões projects. A contract worth about €80 million was awarded in January 2017 for the construction of the Gouvães underground powerhouse and transformer hall as well as excavation of tunnels and shafts for the powerhouse, intake and penstock conduits (see H&D Issue 1, 2017). In May 2016 the consortium was also awarded a €90 million contract to build the Daivões plant and dam (see Online Business Newsletter 3, 2016). This contract covers a 77.5 m-high arch gravity dam, the main powerhouse, a 4 MW eco-flow unit, a 388 m-long diversion tunnel, and a 71 m-long and 10.5 m-high weir. Andritz Hydro has been contracted to supply the electro-mechanical equipment and the penstock for Gouvães as well as the hydro-mechanical equipment for all three powerplants comprising trash racks, radial and roller gates and stoplogs, including hydraulic equipment.